ITP A1 (1xCR123A) and A2 (1xAA) Review: BEAMSHOTS, RUNTIMES, PICS and more! Thread: ITP A1 (1xCR123A) and A2 (1xAA) Review: BEAMSHOTS, RUNTIMES, PICS and more! Reviewer's Note: The ITP A1 and A2 were provided for review jointly by Battery Junction and Going Gear. Please see their websites for more info. The A1 and A2 are ITP’s expansion of the very popular A3 1xAAA build into the 1xCR123A and 1xAA realms. The aluminum versions are reviewed here, but the lights are also available in stainless steel. 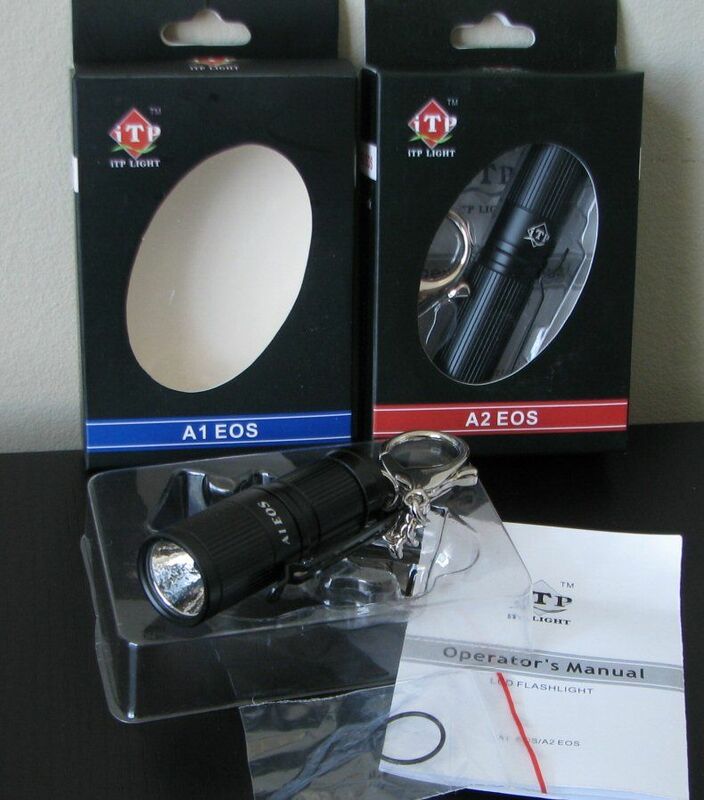 Packaging for the ITP A1/A2 EOS lights is similar to the earlier A3. 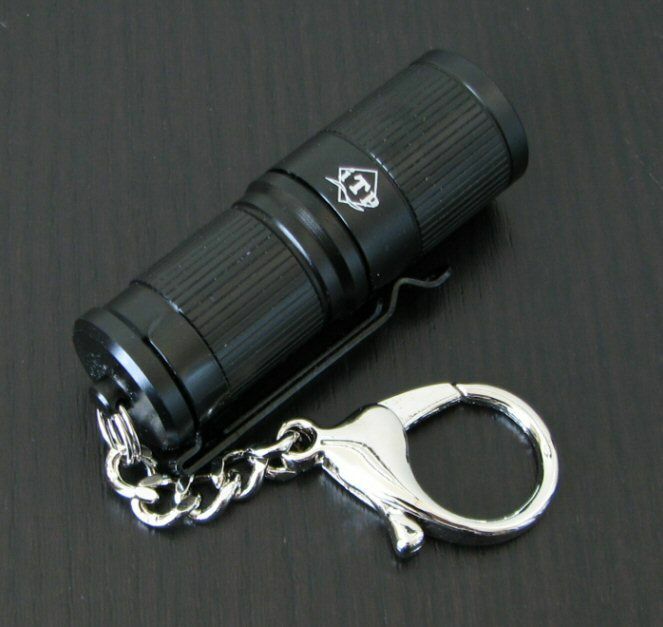 All lights come in a fairly basic box with the light, attached keychain ring, removable pocket clip, spare o-rings, and user manual. To keep this simple, I focus most of the pics on the A1 – the A2 looks quite comparable. 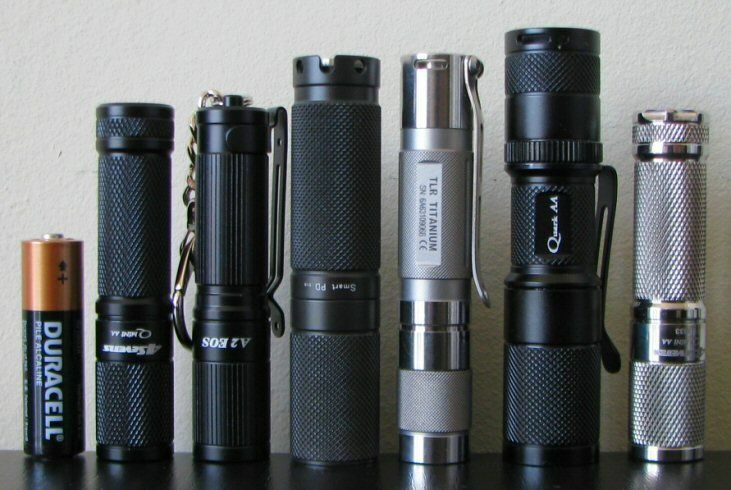 From left to right: Surefire CR123A, 4Sevens MiNi 123, ITP A1, NaitHawk Dear 123, Nitecore EX10, 4Sevens Quark 123, Novatac 120P, 4Sevens MiNi Titanium 123. From left to right: Duracell AA, 4Sevens MiNi AA, ITP A2, NiteCore D10, DST TLR Titanium, 4Sevens Quark AA, 4Sevens MiNi Titanium AA. Like the A3, knurling has been replaced with slight length-wise ridge detail (which makes it a little harder to twist one-handed). Finish was good on both my samples – no chips or blemishes. Note that the threads were somewhat "gritty" on both samples. Although this didn't interfere with operation, I recommend you clean them thoroughly upon arrival (and maybe even apply a small amount of a good quality non-conducting lube). The lights all use a removable spring for the negative contact, which should reduce the risk of accidentally crushing a cell (always a concern on other twisty lights with posts). 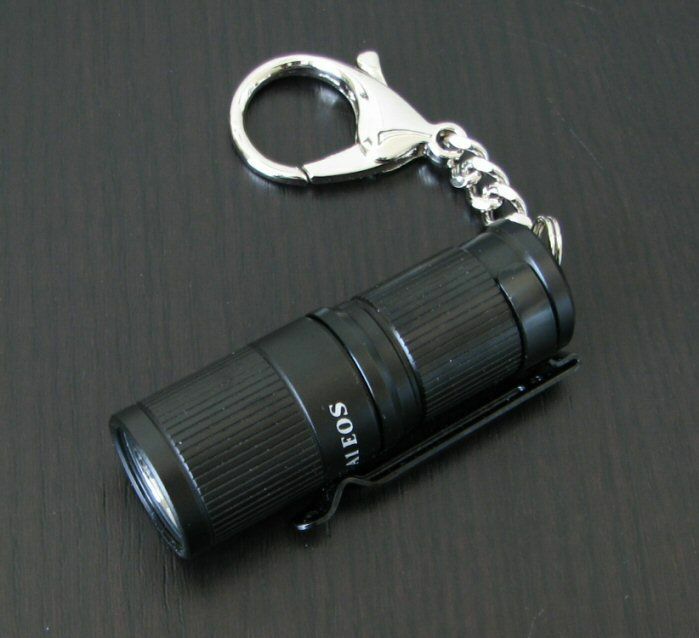 Pocket clip is user-removable, and seems to fit on the light fairly snugly. 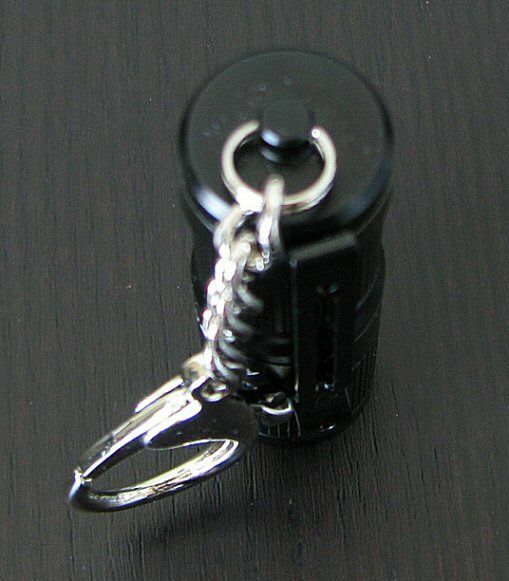 Like the A3, the A1/A2 can’t tailstand due to the attached keychain clip. 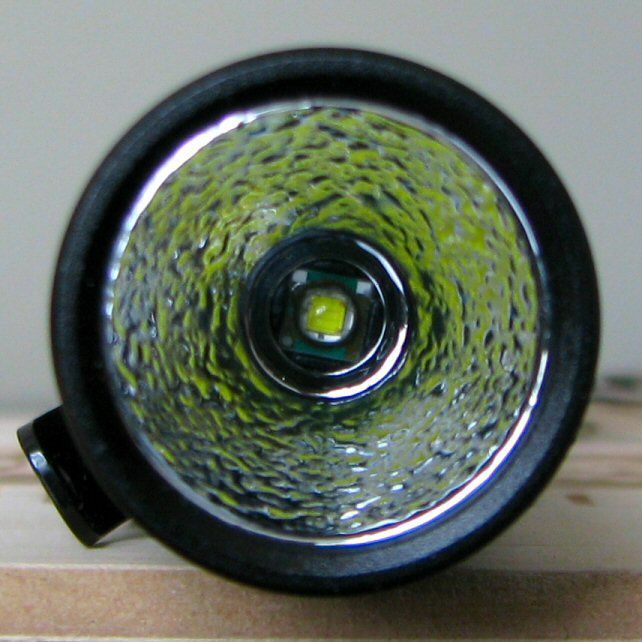 The lights feature the low profile Cree XP-E emitter, with a fairly basic output bin (Q5). Reflector is not overly deep, but heavily textured. As expected, beam pattern is fairly good for a general purpose light. Tint was quite acceptable on both my samples, although slightly on the cool side of cool white (with maybe a bit of a pinkish hue - YMMV). For those of you not familiar with tint bins, please see my Colour tint comparison and the summary LED tint charts found here. The A1/A2 use a slight modification from the original 1xAAA ITP A3 Upgraded/Maratac user interface – the sequence is now Lo > Med > Hi (instead of the A3’s Med > Lo > Hi). To use the A1 or A2, simply fully tighten the head and it comes on in Low. Do a rapid twist off-on and the light advances to Medium. Do another rapid off-on twist and the light advances to Hi. Wait a few seconds before re-activating the light after turning off, and it returns to default Low. This cycle continues indefinitely - keep doing off-on twists to run through all the sequences in order again. There is no strobe or SOS mode on any of these lights. PWM frequency has greatly improved from the original ITP A3 Upgraded. Instead of the original visible 200 Hz, you now get an undetectable ~2.43 kHz. Note once again that this is the exact same frequency as the 4Sevens Minis (do I sound like a broken record? ). On standard primary batteries, the A1/A2 strike a good balance between output and runtime (i.e. in keeping with their small size, they are not maximally driven). It’s a different matter on 3.7V Li-ion – on both 1xRCR and 1x14500, the A1/A2 are clearly driven very hard. Frankly, I don’t consider these levels very safe for extended run – the lights will heat up very quickly. As expected for XP-E emitters, throw is not as great as earlier XR-E-based lights. Lo mode is similar to other 3-stage lights. Once again, you will note that the circuit performance on all levels is virtually identical to the 4Sevens Mini lights (once you take into account their R5 output bin compared to the lower Q5 in the A1/A2). Coupled with identical PWM frequencies, it thus seems that it isn’t only a physical build similarity that they share – the basic operation circuit mode is identical. Output/runtime efficiency on the Medium output setting is ok, but typically not as high as more expensive lights. Body wall construction is fairly thin, in keeping with a budget build. Although not at as great a risk of crushing as 1xAAA lights, I would still be careful with the aluminum A1/A2 (i.e. try to not sit on them ). Max output on 1x3.7V Li-ion (i.e. 1xRCR or 1x14500) is too high for such a small build light. I recommend you do not run these lights on max on this battery source – or limit yourself to short periods of time only. The ITP A3s (including the Maratac variant) really took the 1xAAA market by storm when they came out. Soon afterward, a number of makers were producing simple, tiny, easy-to-use twisty 1xAAA lights will similar or upgraded circuits. The A1/A2 are a reasonable progression of this design motif into the 1xCR123A/1xAA worlds. I quite like the much higher PWM frequency (now undetectable by eye) and revised Lo > Med > Hi output sequence. Mode spacing seems good for a 3-stage light, although I would like to see the overall efficiency be a bit higher on Medium. The main issue here is on 1xRCR/1x14500 - the light is driven very hard on max (i.e. much harder than on primary cells). Since ITP explicitly supports these battery types, I strongly recommend you keep this in mind and do NOT run these lights this way for any length of time. Overall build quality seems similar to the A3, in keeping with the budget status. My only real complaint with the ITP build is the lack of tailstanding due to the keychain attachment clip. 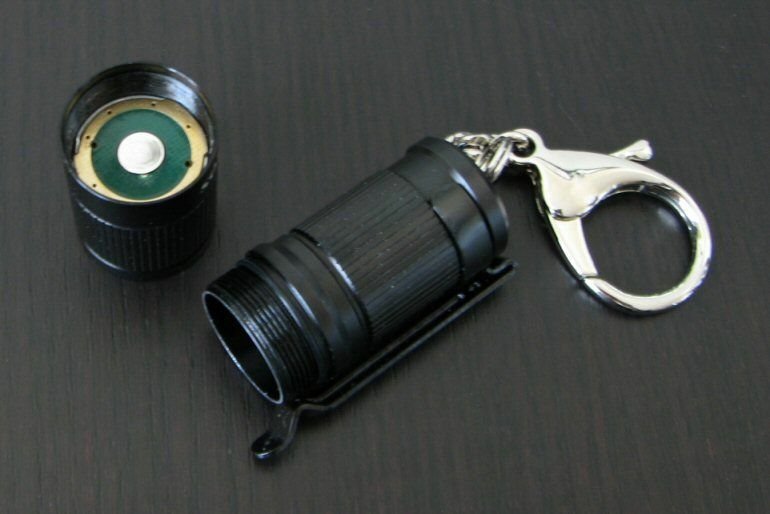 But this is a minor quibble for the price (I do like the included pocket clip, for example). Interestingly, build and basic circuit performance of the ITP A1/A2 are remarkably similar to the 4Sevens Mini 123 and Mini AA. The build difference between these lights is reminiscent of the Maratac/ITP difference (see my Mini review for more details). Of particular note – the heads and bodies of the 4Sevens Minis are interchangeable with the ITP A1/A2. Circuit-wise, the ITP lights lack the extra hidden modes of the 4Sevens lights (and only come with a Q5 output bin), but otherwise seem comparable. If you are looking the best budget deal on a simple, small twisty light, the ITP A-series family is hard to beat. For those looking for comparable performance with a few more extras and upgrades, I recommend you check out my 4Sevens Mini-series review. Either way you go, I think you will be fairly happy with what you get for the price. Last edited by selfbuilt; 04-14-2010 at 12:45 PM. Re: ITP A1 (1xCR123A) and A2 (1xAA) Review: BEAMSHOTS, RUNTIMES, PICS and more! Thanks a lot for the review. I have an A1 on the way. I have a couple 123 primary already waiting for this baby. Question: Is the attachment clip for keychain is fixed/welded? Coz I have a solarforce lantern head that looks the same attachment like the A1. I thought before that it was fixed but to my surprise you can take it off coz it's a screw type. I love your reviews but one thing that always stumps me is there is never a runtime on low on any lights to see if the manufacturers claims are accurate. That is usually the only criteria I am looking for in a light. Run-time on low. It's permanently fixed (i.e. not screwed on). Looks pretty stable. Short answer is that it takes too long! I only have the one lightbox, and always have a backlog of lights to review (i.e. for every one Lo mode runtime I do, that means 10+ Med-Hi runtimes on other lights are not getting done). Add to that my datalogger requires a computer to be on to record it (i.e. I leave my machine on way longer than I would like). Windows crashes or necessary reboots are not fun in the middle of a trace. More importantly, I know from experience that slight changes in emitter Vf from one sample to another leads to drastically different runtimes at the low outputs. Note that this variation doesn't scale linearly across output ranges. For ex., at Med-Hi runtimes, the variation between samples is not too different (e.g. I could get 2hr vs 2hr 10mins between representative specimens of the same light). But at Low levels, you could be talking the difference between 3 or 5 days, or 6 to 10 days, or even more (2 week vs 10 weeks?). Since I typically only have one sample per light, it is likely to be highly misleading to folks if I post one specific runtime in isolation. Although not exactly linear, this error nevertheless increases the lower in output we go. That being said, I sometimes do inpromptu runs not in the lightbox (i.e. stick the light in a corner of my office and check in on a couple of times a day until it out). Of course, that provides only a rough estimate (and it always seems to konk out in the middle of the night, leaving a 8-10hr error range ). Simply put - I don't have the time or the sufficient sample size to provide a reliable indicator. As such, it's better not to provide any. Great review selfbuilt! I've actually been waiting for you to review the little ITP A1 before I went out and ordered one. As a newbie to CPF, the shear quantity of lights available on the market today is staggering, so it's very hard to objectively judge a new light solely based on a few website photos and the manufacturer's description. Thanks again and keep up the excellent reviews. P.S. Any chance you'll review the Jetbeam M2S anytime soon??? Or is it too similar to the M1X to bother? Last edited by HIDblue; 04-14-2010 at 10:11 PM. Another outstanding review! Thanks for taking the time to do this. Glad you are enjoying the reviews - that's why I write 'em! Just out of curiosity, you don't have to answer if you don't want to, but it looks like it takes a mountain of work to actually crank out one of your reviews, given the details, photos, data, etc. Typically, how long does it take you to actually complete one review? It probably isn't quite as bad as it seems, since I have worked out a lot of templates for graphing/tabling/review structure that I re-apply on each review. I also often work on several lights simultaneously, so there is some "economy of scale" of maximizing my time in relation in to individual tasks (e.g. I do beamshots for 3-4 lights at a time, etc). And the runtimes themselves are fairly automated (and done in the background while I am at work). That being said, my major time hogs are 1. doing all the background handling/testing/photos, 2. preparing all the final graphs/tables, and 3. writing the actual review text and assembling everything together for posting (and proofing). I wouldn't say that these 3 tasks are equivalent in length, but are of increasing time commitment. I'm hesitant to give an estimate, since no two reviews are the same. The multiple light review threads are particularly time consuming, as are some of the newer or more exotic lights. Since I can only spend an hour here, a few hours there, it typically take me a couple of weeks to get each review out (sometimes more, depending on my real life commitments ). I think the fastest I have ever done a review of an individual light is 2-3 days, but that is when I am on holiday and can dedicate most of my day to the task. Last edited by selfbuilt; 04-15-2010 at 11:23 AM. and we truly appreciate your work! !thanks a lot. Great review SelfBuilt as usual. I ordered a SS A1. Really liked it alot, very good threads and nice beam too. Unfortunately it was defective and I had to send it back, bad connection I think. But I have the A3 in SS and Ti and they are great little lights IMO. Reality is usually scoffed at and illusion is usually king. But in the battle for survival of western civilization it will be reality and not illusion or delusion that determines what the future will bring. +1 Much appreciation to you for the time and effort you have to put forth for each review. Although it appears the multiple light reviews are the most time consuming for you, I find them to be the most helpful since it's like a one-stop pony for comparison shopping. Last edited by HIDblue; 04-15-2010 at 10:19 PM. Another awesome review - you've truly set the standard! Just received my ITP A1 EOS in stainless steel and all I can say is 'WOW!' 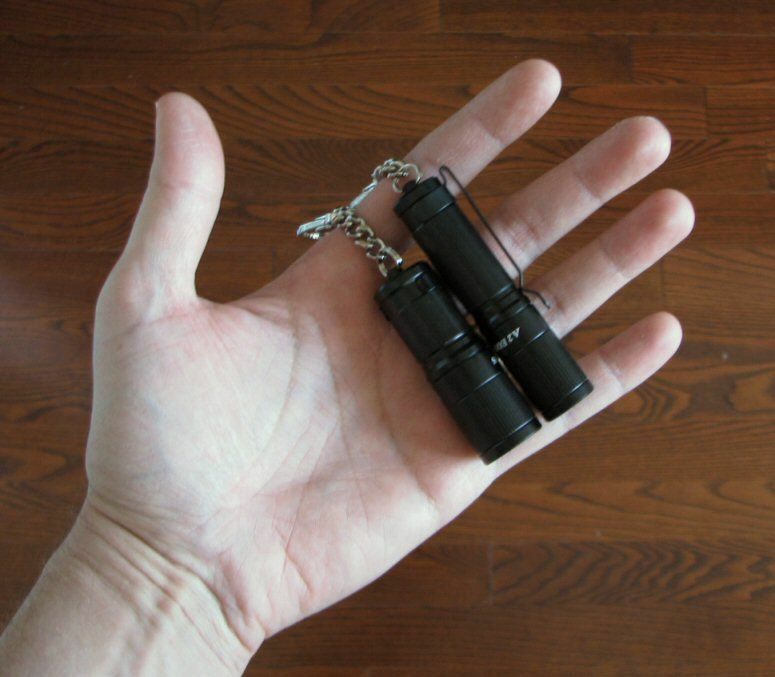 What a great EDC pocket light! The stainless steel finish is visually stunning and feels great in the hand with that little extra heft to it. It's smaller than my Fenix PD20 R2 and doing an informal side-by-side beam comparison, they appear to match max output (both claim 190 lumen max) with the ITP showing more of a cooler tint. Construction is solid and I did not notice any manufacturing flaws at all. For my purposes, I removed the key chain and the pocket clip, since I think they both tend to get in the way of the twisty on/off UI. This thing disappears in the pocket and is about as noticeable as a tube of chapstick. This is my first ITP and it is a solid light given the price point...I paid $32 for the SS version while the standard black HA only runs about $24. Thanks again selfbuilt, your review was spot on again. Got my A1 al yesterday and I would say I really like it. Very nice and bright little light. Thinking getting the SS version soon. Yup, it's a nice package and an excellent price. I really like the fact that ITP/Olight makes these available in a number of form factors and materials (i.e. aluminum or SS in the ITP budget version, aluminum or titanium in the knurled 4Sevens version with higher output bin and extra hidden modes). Creats a lot of nice price points for those looking for different features. Thanks largely to this excellent thread, I just received my A2 in the mail today. I admit I probably would have preferred the Maratac styling, but having the light in my hand I don't mind the lines instead. Build quality seems excellent and it worked perfectly straight out of the box. Bought it from Shiningbeam. This is my first 'proper' led flashlight. I've loved flashlights my whole life, but have always found them to be disappointing in their actual delivery. The brightness and battery life of leds is very promising, though I do wish the A2 used a warmer bin. My next purchase will probably be a p7 of some sort, though not as an EDC. Thanks to all the posters whose advice I've been reading in a lurker-type way for several months. Thank you selfbuilt for yet another (as always!) excellent review. I've just been outside testing out my EOS A1 which arrived today. I'm more than pleased with it, and also pleasantly surprised at the amount of throw this little baby has. For its size, it's definitely a 10/10. Also (and don't laugh) I can just fit my pinky into the lobster-claw clasp as a "safety" anti-drop mode. I'm guessing too with the throw that iTP have got the light OP plus the slightly deeper (versus its diameter) reflector ratio just right. Spill hasn't been compromised for close-up stuff either, and there's no sign of a white wall doughnut hole outside around a 20cm distance. The very first thing I did was remove the clip (before it marked the head). It's mounted extremely tightly to the body, but I used both thumbnails, one under each end of the clip spring (to protect the body) and it came off okay. I'd thoroughly recommend this flashlight, particularly for its $30 price tag. I had to add a bead of solder to the negative/switching trace that makes contact with the battery compartment on an A2 about a year ago. The trace was wearing rather thin. Now, I think the inductor may have popped off, the head recently started rattling. Anybody know if there is a source of boost drivers available that fit this unit? Modes would be nice, but not mandatory.